One of my dreams is to temporarily house swap and live in Spain with Danny! Oh how great would that be? Dan was a lucky duck; he grew up in a bilingual family and can switch from English to Spanish like it ain't no thing. Spain could be my chance to finally learn Spanish fluently! 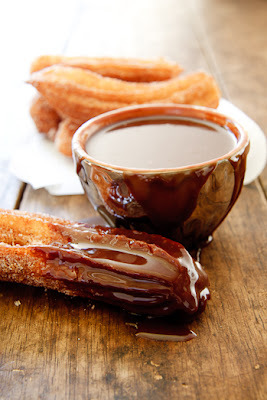 Until then, I will continue to practice my Rosetta Stone and make Churros con Chocolate -- a popular breakfast treat among Spaniards. Believe it or not, this recipe is really easy to make. And...it's AMAZING! 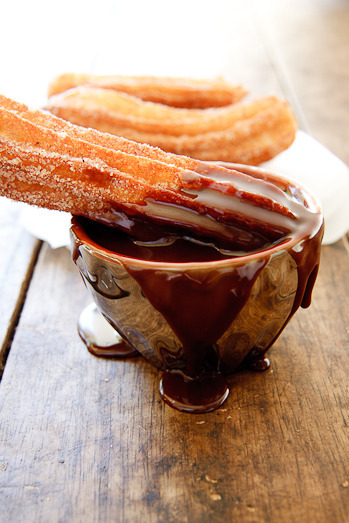 Churros are usually served plain with a hot chocolate dipping sauce in various European countries. And check this out...when we were in Costa Rica, they made their version with dulce de leche in the middle! Awww so good! But my all time favorite would be rolled in cinnamon-sugar and dipped in chocolate! Start by making the chocolate sauce and the cinnamon sugar. Melt the chocolate and cream together and set aside. Mix together the cinnamon and sugar and set aside. Combine the saucepan mixture with sifted flour and stir until a ball starts to form. Place enough oil into a pot to fry the churros and allow to heat. Thanks for the comment Sarah! 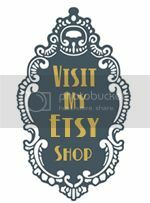 You've got to try them! They are amazing! Thanks for stopping by Stani! More recipes to come! I've made this twice already since I found your amazing recipe on Pinterest. Like Julie I had some issues with the consistency, and ended up adding more flour to make it a bit less runny, and the sugar never stuck to them. So today I added about half a cup more and instead of regular sugar I used powdered sugar and sprinkled it after I finished them. They are delicious and well worth the experimenting, and since all I have is a teeny nozzle, I got a HUGE batch of teeny churros. Best Homemade Bread -- New York Times.